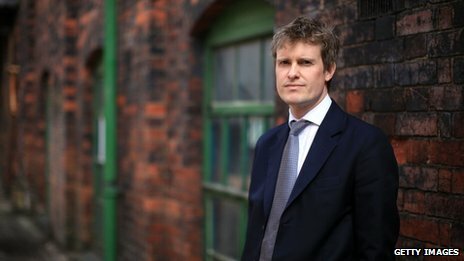 Shadow education secretary Tristram Hunt says character, creativity and resilience should be taught in England’s schools. In a speech in London, he said there was “growing evidence that character can be taught”.He argued the qualities are “vitally important in preparing young people for the economy of the future”. A cross-party parliamentary group earlier this week had also called for more emphasis on building character. Mr Hunt, in a speech to AQA’s Creative Education conference in London, set out broad themes of Labour’s education policy ahead of next year’s general election. He argued that character and resilience are vital components of a rounded education and good preparation for a career, and that instilling them in young people “should not be left to chance”. The globalised jobs market of the future would require creativity and innovation from young people and an ability to be resilient to change, he said. An understanding of digital technology would need to be blended with skills drawn from the liberal arts and humanities, he told his audience at the exam board’s conference at the Institute of Education. The pressure on schools to meet exam targets needed to be balanced with the need to give pupils less easily measured skills, such as a sense of character. “Emerging research, from people like Prof James Heckman at the University of Chicago and Prof James Arthur at the University of Birmingham, clearly demonstrates that character can be taught,” said Mr Hunt. He said this should be recognised at the heart of education. “What is clear is that this is about more than bolting on some music lessons or sports clubs to the school day. “No, this is about learning from the rigorous academic discipline that is character education and implementing a holistic approach that goes beyond extra-curricular activities and into the classroom. “When young people were so immersed in social media and faced such a volume of ideas, images and information from the internet, he said there was more need than ever to teach young people about being able to concentrate and to have “self control”. The globalisation of knowledge and its instant availability raised questions about how young people should be taught to handle so much information. Mr Hunt also warned of a “narrowing in the curriculum”, arguing there was a shift away from practical skills in science and the arts. Mr Hunt said he wants teacher training colleges to include the teaching of resilience and character in their courses, and for schools to “use the curriculum freedoms at their disposal to embed character education and resilience across their curricula”. Responding to a question about teacher training, he said he had “reservations” about the shift away from university education departments into more school-based training. Embedding the teaching of character and resilience, including in teacher training, will have beneficial impacts on the country’s economic success and social mobility, because young people will be taught how to bounce back from setbacks, he said. “Research clearly shows that vulnerable and disadvantaged young people are far more likely to deal with the consequences of failure and setbacks in a negative way,” he said. Wellington College has taught resilience as a timetabled subject since 2006. The independent school’s director of well-being, Ian Morris, said the lessons would help pupils in school and in later life. “They really enjoy the lessons, and the benefits are real and significant, including them being able to accept and manage difficult emotions, knowing how to calm themselves when things get tough, learning to appreciate what empathy and kindness mean in everyday life and how to learn from challenge and stress,” he said.